Induction of COX-2 expression and enzymatic activity promotes neuronal injury in a number of models of neurological disease. Inhibition of COX-2 activity, either genetically or pharmacologically, has been shown to be neuroprotective in rodent models of stroke, Parkinson’s disease, and amyotrophic lateral sclerosis. 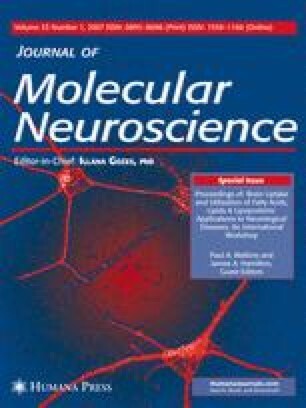 Inhibition of COX activity with nonsteroidal anti-inflammatory drugs (NSAIDs) reduces inflammation and amyloid accumulation in murine transgenic models of Familial Alzheimer’s disease, and the use of NSAIDs decreases the risk of developing Alzheimer’s disease in healthy aging populations. COX-mediated neuronal injury is presumed be due to downstream effects of one or more prostaglandin products including PGE2, PGD2, PGF2α, PGI2 (prostacylin) and TXA2 (thromboxane) that effect cellular changes through activation of specific prostaglandin receptor subtypes and second messenger systems. In this proceeding, we review recent data demonstrating effects of prostaglandin signaling on neuronal viability that are paradoxically protective, when taken in the context that COX-2 induces neuronal injury in the setting of excitotoxicity. Conversely, in the context of an inflammatory stimulus, the EP2 receptor enhances neuronal injury. These findings argue for an additional level of complexity in the prostaglandin response in neurological disease. This work was supported by the American Federation for Aging Research Beeson Award (KA), the American Heart Association (LM), AG15799 (KA), CDMRP PR043148 (KA), NS045727 (KA), and the MDA (KA).